If your fiscal power of gift giving exceeds our previous $0-$50, $50-$100, and $100-$250 Holiday Gift Guides, we want to be your friend. For the platinum crowd, John Burns is providing the above $500 Gift Guide next week, and I’d like to preemptively befriend those folks, too. The following is more than just some random gift guide, it’s my personal Christmas wish list, so I put more effort into this than I would for a gift guide I didn’t stand to benefit from. I hope my current and future family and friends are paying attention. The first product is a little below this list’s $250 threshold, so to make up for the discrepancy, I’ll be accepting $21 checks. The Qualifier DLX is a new model helmet from Bell and at $229 it seems to be a great bargain. Not only does it come in some awesome paint schemes like the Devil May Care Matte version above, but it is also outfitted with a Transitions Adaptive Faceshield – our 2012 choice for Best New Product Honorable Mention. 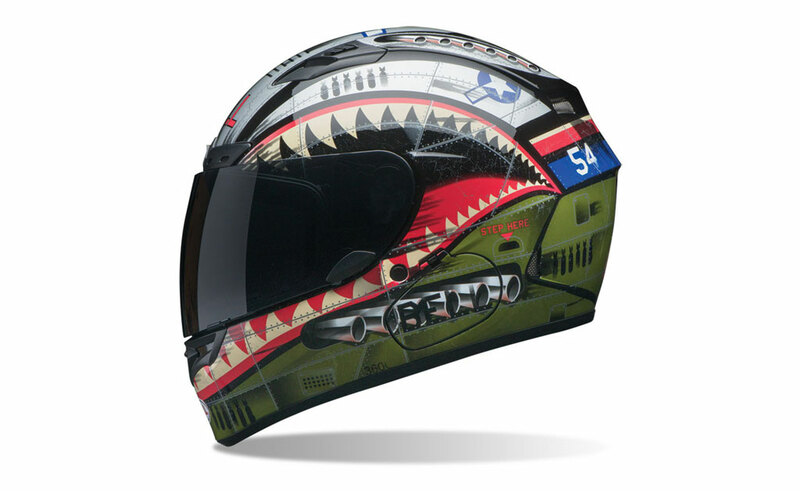 View this lid and others at BellHelmets.com. To be honest, I already own a pair of these gloves, and have been reviewing them for a while. 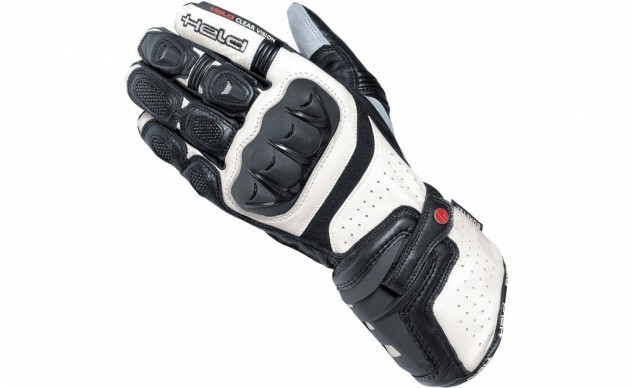 The review is taking longer than normal because the Held Race-Tex gloves are lined with Gore-Tex and meant to be waterproof, performance gloves for sportbike riders. If you haven’t heard, SoCal’s been without rain for a while, so evaluating their wet-weather performance has proven difficult. Otherwise, these gloves are awesome. Even with perforation they make excellent spring and fall gloves as the Gore-Tex lining adds the perfect amount of warmth during cooler temperatures. And, every Held glove I’ve ever owned has been my favorite glove ever. You just can’t go wrong with Held gloves. The Race-Tex as well as Held’s entire apparel line can be viewed at HeldUSA.com. This one’s for riders who already own a specific AGV helmet (Pista GP, Corsa, GT Veloce). 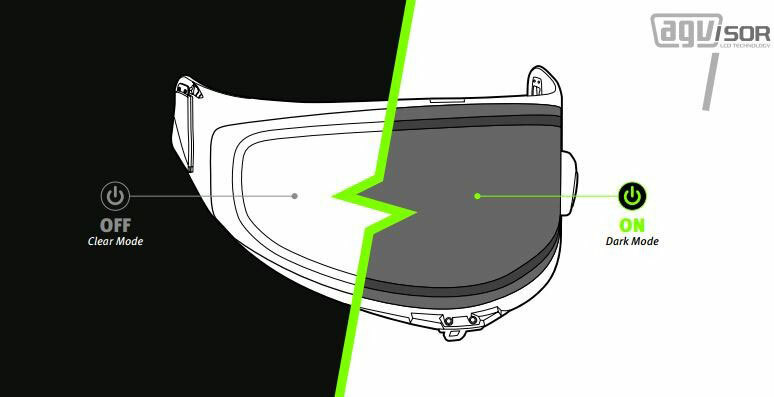 The AGVisor is equipped with liquid crystal technology that, at the touch of a button, tints a clear faceshield in 1/10th of a second. When engaged, the power button located on the left side of the shield emits a low-voltage current through the liquid crystals which react by darkening – faceshield magic! According to AGV, a fully charged battery should last for 12 hours of tinted operation, while a charged battery will retain readiness for up to three weeks. A fail-safe feature ensures that a loss of power automatically results in the shield defaulting to clear. Check out the AGVisor and the helmets it’s made for at AGV.com. 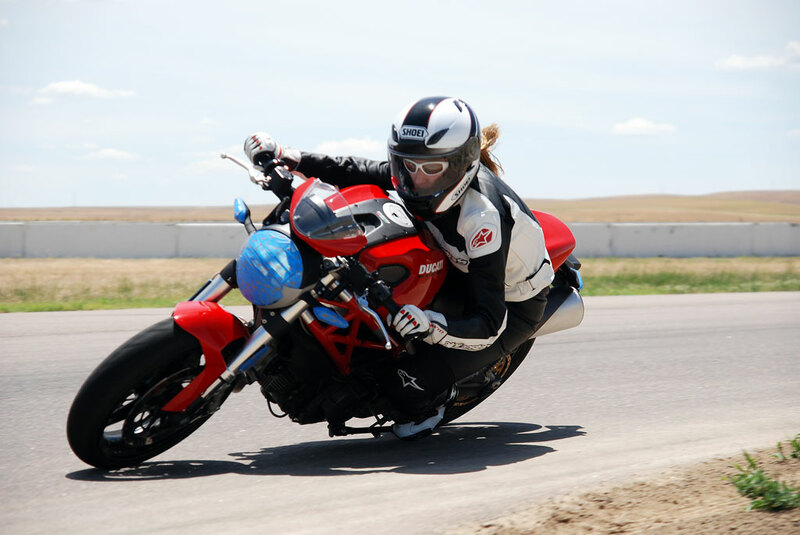 If the rider in your life is addicted to trackdays, there’s no better gift than the gift of more track days. We found on Let’s Ride Track Days’ website packages such as this 2016 2-day Track Pass for $260. The Track Pass is good for any two Let’s Ride Track Days on their 2016 Calendar ($80 Premium for Mazda Raceway Laguna Seca & $35 Premium for Auto Club Speedway events). If you both ride, the Track Pass can be split between you. Let’s Ride Track Days is California specific, so you may need to source a track day company in your area. For more about this particular deal go to letsridetrackdays.com. I want a pocket bike simply because I want to go to the track with a stock, 40cc, 5.5 horsepower motorcycle and spank Trizzle Siahaan and the modified Grom that he’s spent countless hours and dollars modifying into an ill-performing tragedy among minibikes. Otherwise, it’d make a cool pit bike and ideal mount to ride around the neighborhood making all the age-appropriate kids jealous. At $329 this particular model fits my needed price range, but models from $229 to $999 can be found here minipocketrockets.com. You can also read about our doomed Grom’s tale of woe: Top 10 Honda Grom mods, build story, 24-hour race recap, Project Honda Grom Wrap-Up. 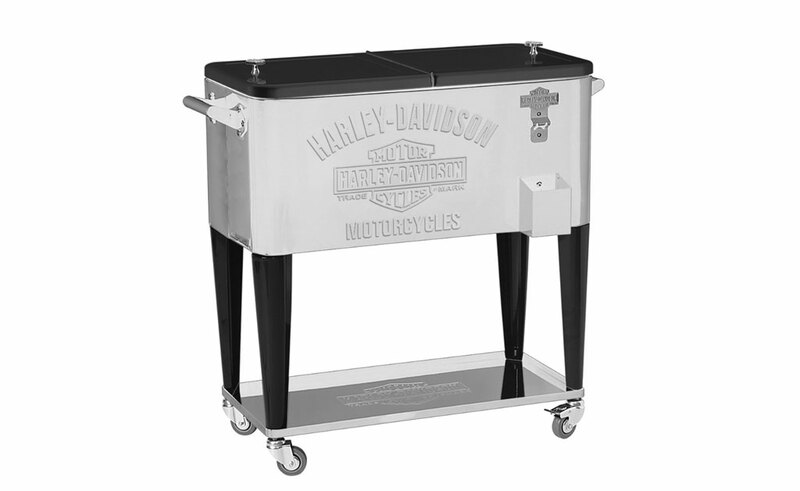 This embossed, stainless steel Harley-Davidson-branded cooler is just the ticket for keeping your beverages of choice the appropriate drinking temperature. The 80-quart cooler is equipped with a bottle opener, cap catcher, drain and divided lid. Caster wheels make it easy for moving the cooler from your man cave to your swimming pool or wherever cold, tasty beverages are required. We found this particular gift idea at retroplanet.com. 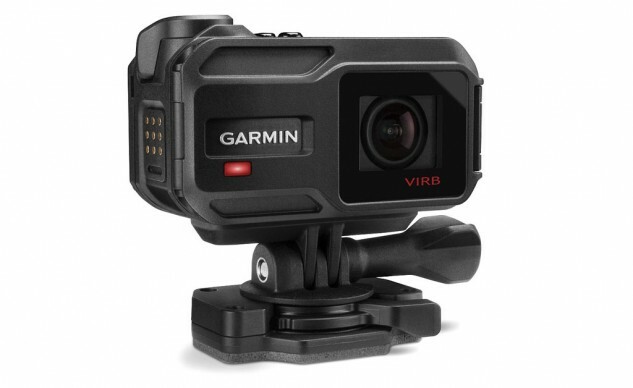 There are a lot of action cameras out there, but none that we’re aware of that contain the features of Garmin’s Virb XE. The G-Metrix feature of the Virb XE captures information such as lap times, speed, G-force, etc., by way of its built-in GPS. 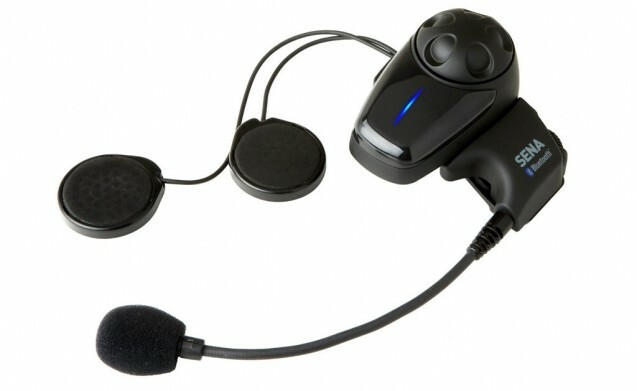 With the Virb’s Bluetooth you can also wirelessly connect to a Bluetooth audio device and capture your commentary. The Virb X is also available for $299 with slightly less features. Inspect them both at virb.garmin.com. Classified Moto’s Floor Lamp is cool enough for your man cave and elegant enough to sit inside your living room. The lamps are constructed from ’70s and ’80s recycled Japanese motorcycles. The floor lamp uses two chrome fork tubes separating a brake rotor and transmission gear as the base and a spring and shock at the top. The lamps have dings, dents, and scratches, but Classified Moto claims to clean them up and give them that classic Classified finish. The lamp stands approximately 53 inches tall and is fitted with a harp base for using a variety of shades, because the Metal Mesh Shade pictured isn’t included, it costs another $249. 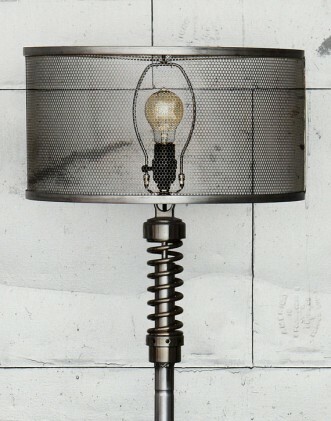 Check out all Classified Moto’s lamps at ClassifiedMoto.com. For the happy couple who love going on rides together but are tired of hand signals and misunderstood communication, Sena’s SMH10 Bluetooth headset and intercom is the cure to your communication ills. The 10S Dual Pack retails for $439. The nice thing about this gift is it can be used when riding alone, with a passenger or with two people on separate bikes. So, no matter what your situation, Sena has a variety of communication models available to fit your needs and budget. View the 10S and other Sena devices here Sena.com. Rounding out the most expensive gift in this list is a $500 gift card. 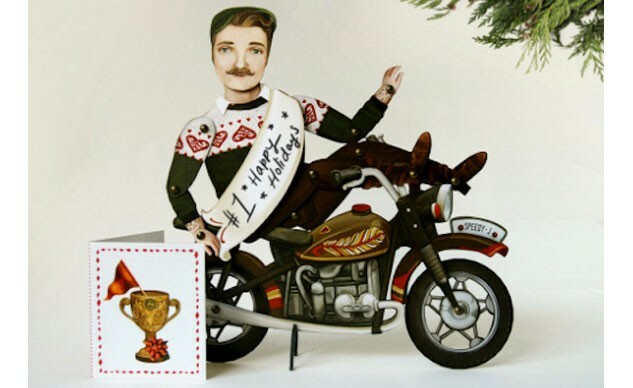 Of course, a gift card can be for the amount of your choosing, but a $500 one would go a long way in proving to some lucky biker that you’re a giver. The best thing about a gift card is it can be used for anything a motorcyclist needs without worry of fitting correctly, being the right color, etc. Gift cards are also convenient with numerous different outlets from which to purchase and redeem.